Above all else, agility is about teams and how teams can be most effective at doing purposeful work. When we look at all the various issues that impede teams from being effective however, many have nothing to do with the team itself. 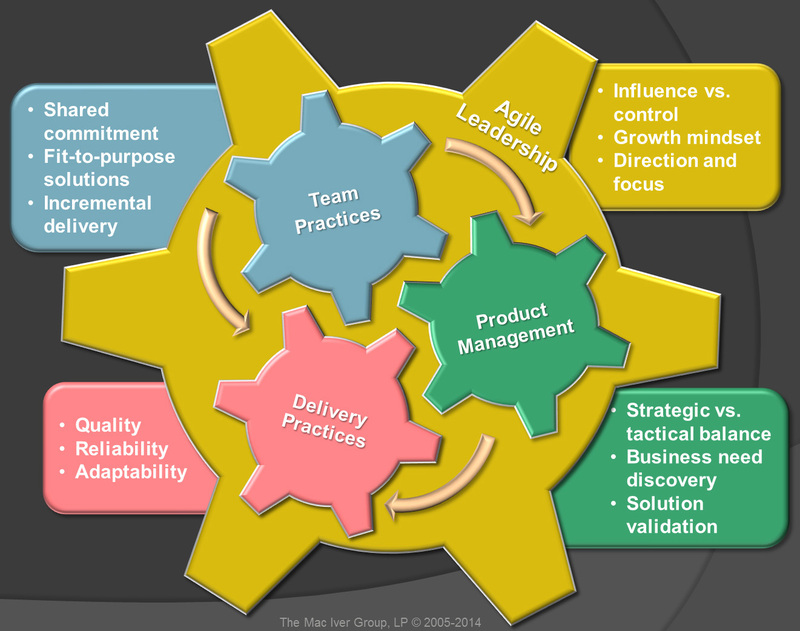 Successful agile adoptions then must look beyond the team. Not doing so merely institutionalizes business as usual under the guise of a new vocabulary and a new set of practices. Outcomes change very little, if at all. What will get us the improved outcomes we want? Combining team practices with credible product management and excellent delivery practices; and then infusing that with agile leadership practices to encourage growth, openness and transparency. 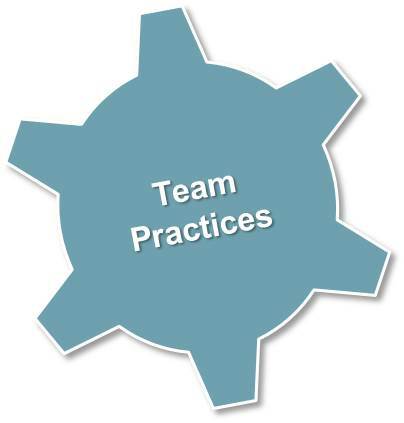 Team Practices address how disparate groups of people learn to work together and become a true team possessing a sense of shared commitment and accountability for the outcomes they create. As agile teams grow they become more self-organizing by accepting increased autonomy over how to do their work. Agile teams maintain a relentless focus delivering solutions that fit their intended business purpose by seeking frequent feedback on their work. Incremental delivery sets up the framework to systemically gather that feedback, as well as allow for realistic projections of delivery schedules based on the work already completed. 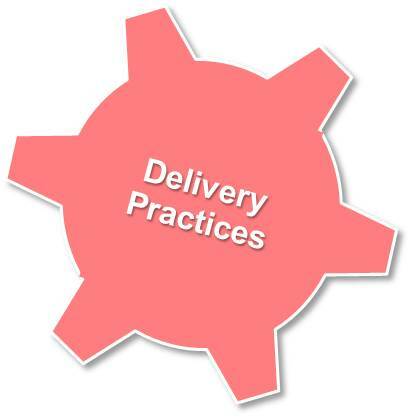 Delivery Practices encompass the mechanics of how the teams create their deliverables. Delivery practices include up to date knowledge of ever evolving technology advancements as well as appropriate and consistent software engineering practices. 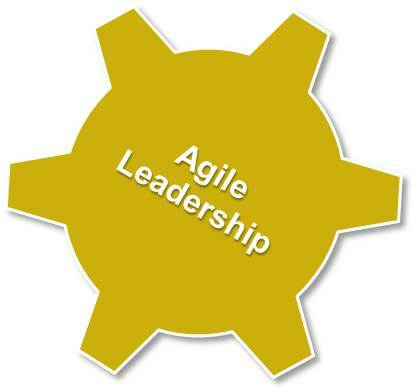 Agile teams leverage their collective technical expertise to produce high quality solutions that do what they are intended to do, and reliably perform under all anticipated deployment and usage circumstances. In addition delivery practices allow agile teams to create solutions that remain resilient and adaptable to accommodate the changes that a business environment of rapid change and growing complexity is sure to bring. Product Management Practices start with a clear product strategy that assesses the business needs for tactical, incremental improvements against the longer term bold strokes of radical change. The role of product management is to actively discover, understand, refine, validate and communicate the business challenges in the market and the value of addressing them. It goes on to help delivery teams break down large business problems into smaller problems more easily solved, and then comes full circle to validate each increment of the solution as it is being built; making the necessary adjustments as the knowledge of both the problem and the solution evolve. Is Your Thinking About Teams Outdated?